The SKYTEE-2 is a heavy duty alt-azimuth mount capable of holding two telescope tubes of up to 15Kg each in parallel. A Skywatcher/Vixen type dovetail saddle plate is included on each side of the mount. Precise manual slow motion controls are provided on each axis . A counterweight bar is also included that accepts Sky-Watcher counterweights. 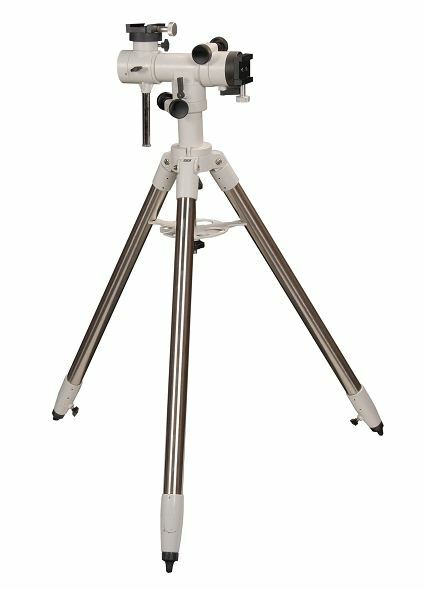 Supplied with a Sky-Watcher 1.75" stainless steel tripod.